2018 will be a big year for students who are looking to learn about cryptocurrencies and blockchains, and of course 2018 will be a big year for ARK as well. We aim to educate as much as we can, and are ramping up hackathons along side other awareness efforts such as conferences. 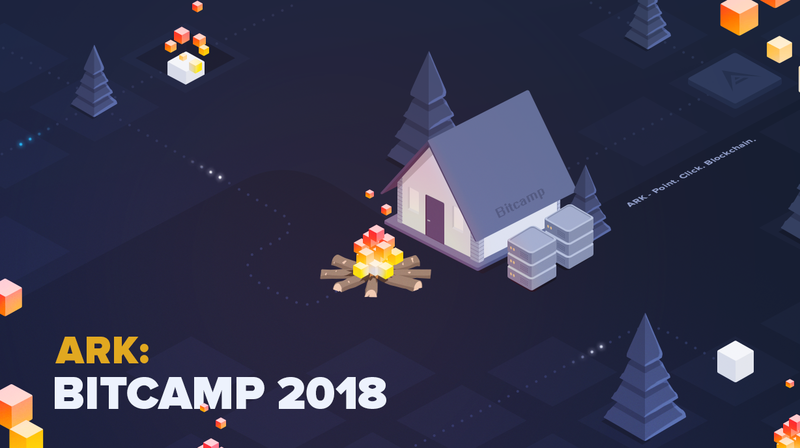 We will be at Bitcamp Hackathon April 6th- 8th, it will be the second event on our calendar this April with many more events to be added to the list for upcoming months. Bitcamp is organized by the University of Maryland and will take place April 6th-8th at the Xfinity Center located on campus. This hackathon will be a 36 hour event with an estimated 1,200 coders/hackers in attendance, it will be an exciting time for all participants. Hackers will arrive between 6PM and 8PM on Friday, April 6th, 2018. Hacking starts Friday evening after the opening ceremony. Closing ceremony will begin at 3PM on Sunday, April 8th, 2018. Each Trail is its own contest category and will provide separate prizes for a variety of different skills and abilities! For teams or participants that would like to get a jump start on a blockchain project utilizing ARK you can use the ARK Deployer, which gives developers the ability to create their own blockchain in a matter of minutes to start exploring the power of ARK dApps with simple REST APIs in more than 12 different programming languages. Read the full ARK Deployer guide here https://blog.ark.io/ark-deployer-setup-guide-c10825ebb0e4. ARK is continually striving to push the industry forward in new and exciting directions. By providing monetary and human support for events like the BitCamp hackathon, ARK can inspire the next batch of blockchain developers to learn and participate in our blooming industry. If you’re attending BitCamp, make sure to stop by the booth and grab up some free swag!